On the invitation of Pakistan’s Minister of Defence Production (MoDP) Rana Tanveer Hussain, South Africa’s Minister of Public Enterprises Lynne Brown is on an official three-day visit to Pakistan. This will conclude on Friday, November 03. “We are very grateful to the Honourable Minister of Defence Production, Mr Rana Tanveer Hussain, for this opportunity to explore the potential to further deepen the relationship between our countries”, said Brown through a statement released by the Ministry of Public Enterprises. Minister Brown is leading a top-level delegation to Pakistan, which includes the Director-General of the Department of Public Enterprises Mogokare Richard Seleke and Denel Group’s Chief Executive Officer (CEO) Zwelakhe Ntshepe, along with other senior government and Denel officials. The purpose of the delegation’s visit is to explore potential areas of defence cooperation between Denel, the Pakistani defence industry and the Pakistani armed forces. According to the statement, the delegation will also visit “strategic sites” to discuss collaboratives avenues for Denel Group in Pakistan. In its 2016-2017 financial report, Denel Group listed Pakistan as one of the markets where it will maintain a presence, along with the United Arab Emirates, Algeria, Turkey, Malaysia, Brazil, Kenya, Mozambique, Oman and South Africa (i.e. its domestic market). In 2016, Denel Land Systems had successfully trialed its T5-52 155 mm/52-calibre self-propelled howitzer (SPH) Pakistan as part of a potential bid to supply SPHs to the Pakistan Army. The Pakistan Air Force (PAF) had expressed interest in the Denel Dynamics A-Darter high-off-boresight (HOBS) air-to-air missile (AAM) for use on the forthcoming JF-17 Thunder Block-III. There are three areas of opportunity for Denel Group to engage the Pakistani industry. First, the direct sale of complete systems. Denel is already in position of promising weapon systems that are ready or near-ready for sale. The A-Darter HOBS AAM has been slotted as a possible munition for the JF-17 Block-III. Likewise, Denel could also pitch the Raptor III stand-off weapon (300 km range) and Tariq precision-guided bomb (PGB) kit (100-200 km in range) as long-range strike solutions for the JF-17. Denel could also position its air defence systems – i.e. Umkhonto surface-to-air missile (SAM) and 30-mm Dual Purpose Gun (DPG) – as an anti-air warfare (AAW) refit for Pakistan’s F-22P frigates. Second, the co-development and co-production of future munitions and subsystems could be an avenue of bilateral interest. For its next-generation fighter acquisition plans, the PAF is intent on building a strong local industry base for both sourcing and support. Denel could position Denel Dynamics’ Marlin program, which seeks to provide a beyond-visual-range air-to-air missile (BVRAAM) and SAM from a common core platform (e.g. common dual-pulse rocket motor), for Pakistan’s next-generation AAM requirements. In its recent financial report, Denel announced that it had tested the Marlin’s technology demonstrator. Third, industry partnerships. Denel Aeronautics and Pakistan Aeronautical Complex (PAC) can consider co-production efforts in aircraft, aerostructures, maintenance services and other areas. 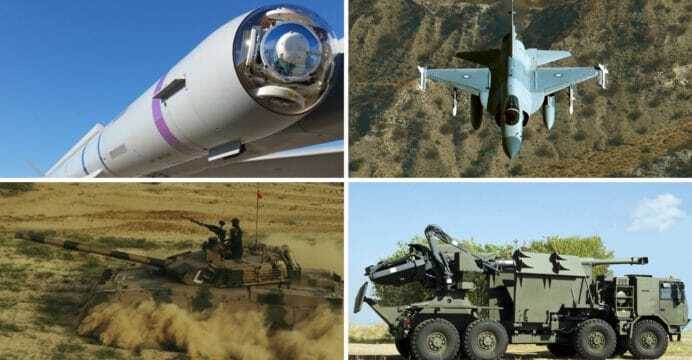 It may be easier to channel these efforts through a tangible joint-program, though it remains to be seen where PAC and Denel can partner without conflicting with the requirements of their respective host countries. That said, similar efforts could also be explored in land and naval defence as well as law-enforcement realms. While the apparent focus of this visit is to further Denel Group’s market access, the South African defence industry also has other valuable players, such as Hensoldt Optronics South Africa (HOSA). The Pakistan Navy is acquiring the HOSA SERO 250 periscope and OMS 200 optronic mast for the Khalid-class Agosta 90B submarine upgrade program. In the optronics space, there is a dearth of suitable helmet-mounted display and sight (HMD/S) systems for fighter aircraft, with Israel-based Elbit maintaining a strong position in the global market for HMD/S. There has yet to be a clear HMD/S selection for the JF-17 Block-III. This is a market opportunity for HOSA, especially since it could use the JF-17 as a base for launch orders. Another major company is Paramount Group, which has built a strong portfolio of armoured vehicles. In particular, the Mbombe series aims to provide a diverse capability set, but with a common platform. For example, the 4×4 Mbombe 4 mine-resistant ambush-protected (MRAP) vehicle as well as 6×6 Mbombe-6 and 8×8 Mbombe-8 infantry fighting vehicles (IFV) share 80% in components. Pakistan has considered bids for AFV and MRAP solutions, but besides ordering small batches of such vehicles (mainly MRAP), Pakistan has yet to establish a firm MRAP and AFV production and induction strategy. This can be an opportunity for Paramount Group and Denel Group.